Super Smash Bros. Ultimate’s final Nintendo Direct presentation showed us a quite a bit. New challengers, new amiibo, new mechanics – and today we’re going to round it all up and discuss its possible effects on the amiibo metagame. It’s safe to assume that no more major information about the game will be shown until its release, which means this may be our last pre-Ultimate analysis before things change for good. 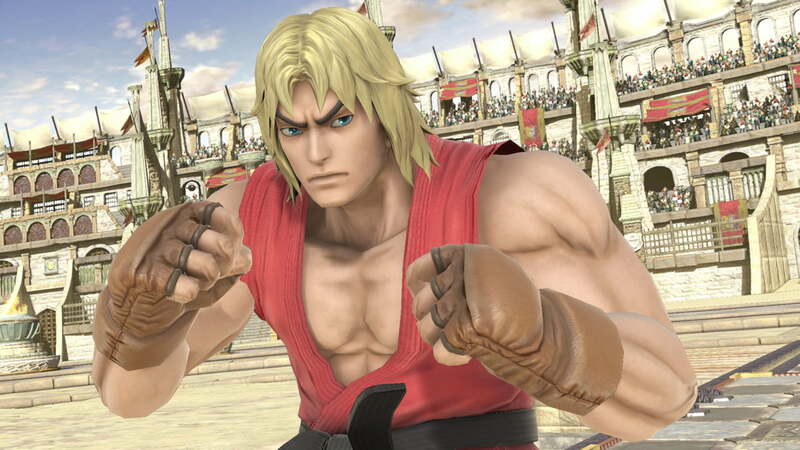 In a move nobody saw coming, Ken has been revealed as Ryu’s Echo Fighter! Compared to Ryu, many of Ken’s animations are completely unique, and his attacks come packed with flashy flame effects. Furthermore, his grounded movement speed is slightly faster. If you like Ken more than Ryu, you’re in luck. In terms of amiibo training, Ken is likely going to be just about even with Ryu. This means he’ll be solid in Singles, and even better in Doubles. 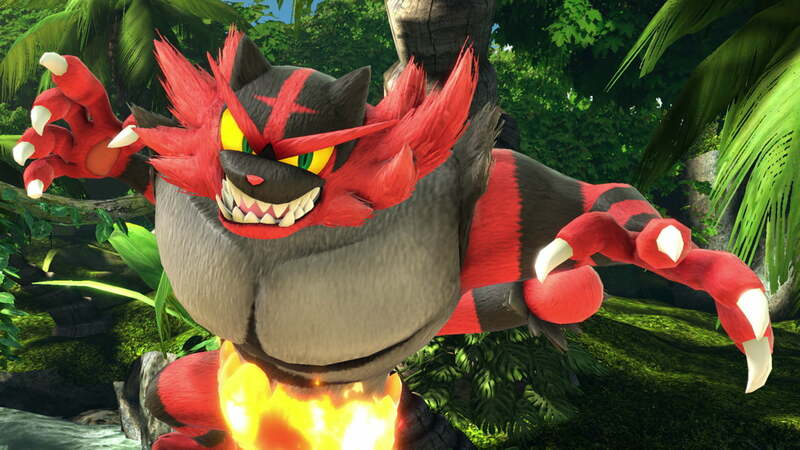 Step aside, Charizard – our next top tier Pokémon, Incineroar, has arrived. Incineroar uses a variety of moves from Pokémon Sun and Pokémon Moon. Its neutral special, Darkest Lariat, is a grounded spinning attack that appears to serve as a solid “get off me” move. 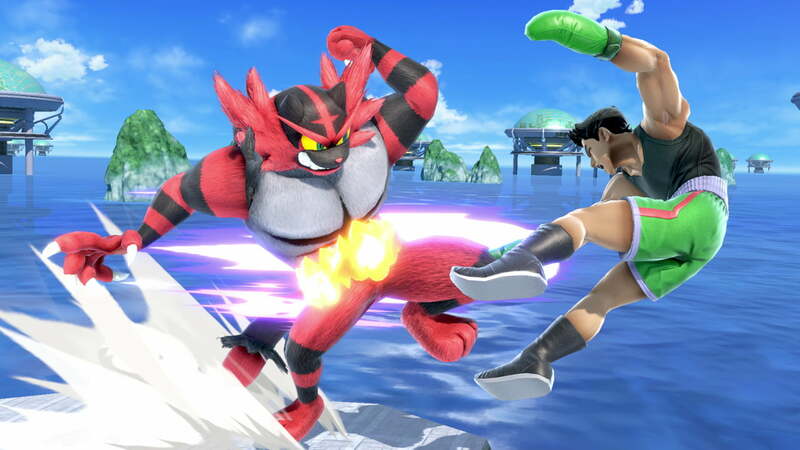 At the time of writing, Incineroar’s side special is unnamed; it functions as a command grab that thrusts the opponent into a boxing ring rope that bounces them back. Incineroar can follow up with a powerful lariat attack, but only if its timing is perfect. Its up special is Cross Chop, in which the Pokémon jumps into the air before diving diagonally downward. If used haphazardly, this move can lead to a self-destruct. Finally, Incineroar’s down special is Revenge, a pseudo-counter that adds additional strength to the next attack it uses. Incineroar’s kit appears to apply to the amiibo metagame (at least, the current one) exceedingly well. It’s got both a command grab and a counter move, which bring a slew of powerful benefit to the character’s moveset. Incineroar’s amiibo has not yet been announced, but it’s certainly one to look out for. 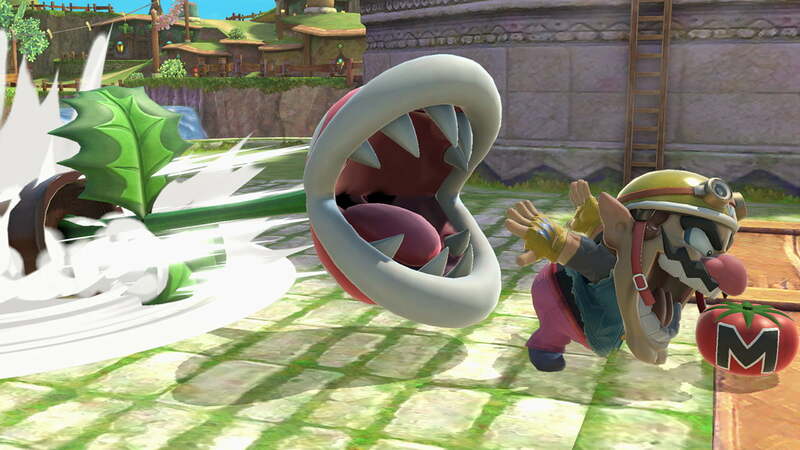 For real, in a move literally nobody saw coming, Piranha Plant was revealed as a playable fighter. Piranha Plant is available as a My Nintendo reward – if you pre-load or pre-order Super Smash Bros. Ultimate, the character will be added to your game for free. You may think a fighter like Piranha Plant wouldn’t have many unique moves, but it’s actually quite the opposite! Its forward smash is a medium-ranged headbutt attack, while its down smash swings the pot on both sides. Piranha Plant’s up smash sees it stretch its head skyward – it’s got more range than Palutena’s up smash! Its other moves include throwing up a cloud of poison, spitting out a spiked ball, and extending its leaves and using them like a helicopter. New amiibo figures have been announced for Isabelle, the Ice Climbers, Daisy, Young Link, Ken, Pichu, Piranha Plant, and King K. Rool. High quality images of each figurine are included above, so feel free to download them for your own use. Ridley, Inkling, and Wolf amiibo, as mentioned in the previous presentation, will release alongside Super Smash Bros. Ultimate on December 7. King K. Rool, Piranha Plant, and the Ice Climbers are up next; each figure will be available on February 15, 2019. The rest do not yet have confirmed release dates. Figures for Pokémon Trainer, Snake, Simon, Richter, and Incineroar were not shown at all. Here’s a preview of the new amiibo training menu. It seems amiibo can be used in the new Spirits mode (which is covered in the full presentation) to level up and collect rewards. How this affects their training, we don’t know, but it’s good to see more amiibo functionality included in the game. Since this new mode relates to amiibo, we will have to cover it with a new guide. Other sites may publish something first, but we will make sure to collect fully accurate and credible information before publishing anything. Perhaps more interesting, however, is the return of equipment. Part of the presentation showed a Peach amiibo with an Attack stat of 1,131 and a Defense stat of 920. First, it appears the Speed stat has been removed; as for the exceedingly high numbers, we’re not sure how they scale compared to the ones in Super Smash Bros. for Wii U and 3DS. New bonus effects were spotted in the mix, too: Death scythe equipped, Strong throw, Made of Metal, Item Gravitation, and Critical-Health Stats. Only Death scythe equipped was seen on an amiibo – the rest of the bonus effects listed here were only seen on specific Spirit setups, so we don’t know for sure if they can be applied to amiibo. As a result of this presentation, we’ve updated our plan for Super Smash Bros. Ultimate content. Rather than transferring all our fighters and retaining their equipment, we are going to leave them vanilla so that we can more accurately study their updated AI. Once we’ve got a decent grip on the changes at hand, we can move on to a full equipment metagame in line with our current ruleset. We hope you look forward to our new content later this year! It’s been a while since we’ve had new characters to write guides for, hasn’t it? When the time comes, we hope you’ll join our Discord server and help us discover the new metagame together. After all, there are over sixty fighters to explore from the very beginning, and each one could be completely different than their Smash 4 iteration. I still think Incineroar was a whimper of a final reveal. Can’t stand him. I have a feeling that Chrome is going to be a beast! His swords hitbox is like Lucina’s and he even has her dancing blade move. He also has Ikes up B. Overall, could be good! What’s your opinion on the AI in this game? In my opinion, Chrom will most likely be toward the middle of tier list. Dancing Blade has actually been nerfed from Smash 4, as its first hit is much slower and easier to block. Its four strikes link together faster, but in Smash 4, amiibo were often hit by them anyway. Chrom’s recovery is definitely lacking, so Marth and Lucina will probably be better choices overall. Having Roy’s forward and up smashes, however, might give Chrom a bit of an advantage.